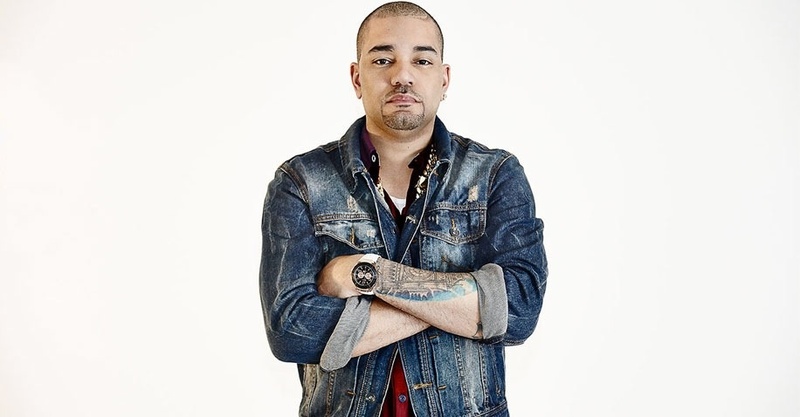 Raashaun Casey, better known with his stage name DJ Envy, is an American disc jockey and celebrity who is well known as one of the three hosts of the radio show The Breakfast Club. He’s also well known for his high-quality hip-hop musical records and his roles in films. His breakout compilation album The Desert Storm Mixtape: Blok Party, Vol. 1 was a critical success, putting him on the face of the map in the hip-hop industry. His skills have allowed him to produce music not just for himself, but for other artists like Fabolous, Foxy Brown, DMX and Joe Budden. He was also involved in the production of the soundtrack of Cradle 2 the Grave, a movie he had a role in. The talented DJ was born on the 3rd of September, 1977 in Queens, New York where he grew up with his siblings. His interest in music blossomed in the early years of his life when he began dedicating his time to pursue the goal. He graduated from Hampton University in Virginia with a bachelor’s degree in business administration. It was in the mid-1990s that DJ Envy began his foray into the hip-hop world, thanks to neighborhood acquaintance Ernesto Shaw a.k.a. DJ Clue. Shaw was responsible for introducing Raashaun into the mixtape circuit, allowing DJ Envy to try his hands on compiling music and making commercial sounds. His dedication allowed Envy to climb up the rank and by early 2000s he was able to work with big hip-hop names like 50 Cent and Jay-Z. He later got signed into DJ Clue’s Desert Storm Records. In 2003, DJ Envy released his acclaimed debut album The Desert Storm Mixtape: Blok Party, Vol. 1. He featured on the Hot 97 radio show Takin’ it to the Streets, mixing for it once every month. It was hosted by Angie Martinez until he filled in for her when she got pregnant. He moved up a notch when he became a co-host on the radio station’s morning show with Miss Jones. This stint as co-host ended in July 2008 when Miss Jones moved to Philadelphia. Following this, Envy ran his own shows where he played his mixes and the latest music; The People’s Mix and New at 2 on Hot 97, Hip-Hop Nation’s afternoon show on Sirius XM radio and a weekend show on Power 105. On the 6th of December, 2010 he joined Angela Yee and Charlamagne tha God to host the Power 105 show The Breakfast Club. The DJ has had several appearances on TV; from music videos to TV shows like 106 & Park. He has released a record titled Still A Fan featuring songwriter and producer Rico Love. Together with his wife Gia, he hosts a podcast called The Casey Crew. They talk about the ups and downs one encounters in family and relationships. DJ Envy tied the knot with his high school sweetheart Gia in 2001. Nothing is known about where or on what date they got married. Together they have welcomed five children; three girls and two boys. The girls are Madison, London, and Brooklyn. The boys are Logan and Jaxson. 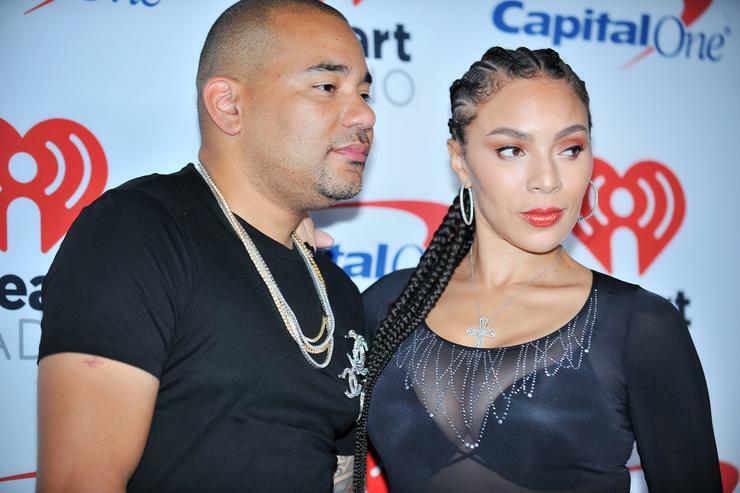 It should come as no surprise that someone with DJ Envy’s repertoire would have an impressive net worth, which he actually does. It is estimated at $6 million. Couple that with his assets and you’ll know that he’s living lavishly through his hard work. See Also: Who Is Seal (Musician), Why Did He Break Up With Heidi Klum, Where Is He Now? Envy bought a seven-acre home in 2014, which he later put up on the housing market. The mansion has an in-house theater, carnival with rides and even a petting zoo. It’s estimated to have a value of $2 million. The DJ has an extensive car collection that he flaunts on social media. His Instagram page is filled with pictures of him and his cars, and it leaves no doubt in the mind that he is a car enthusiast. Altogether, DJ Envy has shared 13 cars on his page since September 2011; A Jeep Grand Cherokee SRT-8, 2 Dodge Challengers, a Dodge Durango, Fisker Karma, Bentley Mulsanne, Porsche Panamera, a Ferrari California, a Ferrari 458, a Rolls Royce Ghost, a Rolls Royce Wraith, and 2 Range Rovers.